The buy-out of pipeline giant Kinder Morgan announced today includes a massive amount of debt. Fourteen and a half billion according to the buyer’s press release. That number includes both the refinancing of existing debt and new debt being taken on by the company to pay the purchase price. So how do the Kinder Morgan management team intend to rack up that much borrowed money? Well, first of all, they don’t intend to borrow anything. In deals like this, the company itself borrows the money to support the acquisition by the management and the collateral will be the assets of the company. It’s like financing your new car, except that instead of you promising to pay back the loan, the car makes the promise. It’s Herbie the Lovebug financing Lindsay Lohan&apos;s purchase of the car. The meaning of Goldman’s “Highly Confident” letter after the jump. So then where is Herbie Kinder Morgan getting that kind of money? From the bank, of course. In this case Goldman Sachs Credit Partners, Goldman’s main corporate lending arm. Only it’s not exactly Goldman Sachs, it’s a syndicate of banks and bond investors that Goldman Sachs is “highly confident” it will be able to assemble to supply the funds. What does Goldman mean when it says it is “highly confident” it can come up with the dough? In more typical corporate finance deals, the bank arranging the deal will commit to providing the funds in a letter referred to as a “Commitment Letter.” When a bank signs a commitment letter it promises to recruit other lenders and, failing that, to provide the money itself. In today’s Kinder Morgan deal, Goldman has signed something else, something called a “highly confident letter.” This means that Goldman thinks it is "highly confident" it can find lenders and sell bonds, and will try really hard, but if this proves too difficult, Goldman isn’t on the line for the money. There is some reputation risk for Goldman if it doesn’t come through, and possibly some legal liability if Kinder Morgan thinks Goldman doesn’t try hard enough, but Goldman won’t be responsible to make up for a shortfall of the funds. But go ahead and read the letter for yourself. Goldman Sachs Credit Partners L.P.
Richard D. Kinderc/o Kinder Morgan, Inc.
GS Capital Partners V Fund, L.P.
AIG Global Asset Management Holdings Corp.
You have advised Goldman, Sachs & Co. ("Goldman Sachs") and Goldman Sachs Credit Partners L.P. ("GS Credit Partners" and together with Goldman Sachs, "we" or "us") that Richard D. Kinder, GS Capital Partners V Fund, L.P., AIG Global Asset Management Holdings Corp., The Carlyle Group and Riverstone Holdings LLC (the "Sponsors") are submitting a proposal to acquire (the "Acquisition") all of the outstanding capital stock of Kinder Morgan, Inc. (the "Acquired Business"). You have advised us that the Acquisition will be financed from a combination of equity contributed by the Sponsors in cash and the rollover and/or purchase of equity by Richard Kinder and certain other members of management of the Acquired Business (the "Equity Contribution") and funded indebtedness of approximately $14.5 billion to be incurred by the Acquired Business under (1) one or more senior and/or subordinated credit facilities (the "Credit Facilities"), (2) through the sale or placement of senior and/or subordinated debt securities (the "Securities") or, in the event market conditions do not permit the issuance of the Securities at the closing of the Acquisition, interim financing in lieu thereof consisting of additional Credit Facilities and/or (3) the assumption of certain existing indebtedness of the Acquired Business, including indebtedness consisting of trust preferred securities ("Existing Indebtedness"). 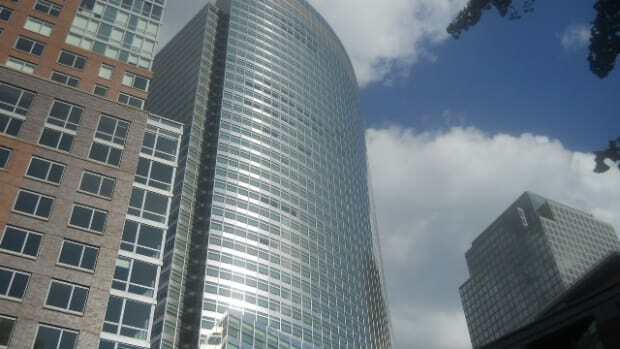 You have consulted with Goldman Sachs and GS Credit Partners, respectively, concerning the sale of the Securities and the structuring and syndication of the Credit Facilities. Based on the information that you have provided to us to date and publicly available information, our analysis of the current market for loans and securities issued by entities engaged in similar industries and for transactions of this type and subject to the foregoing and such other matters as we consider relevant, we are pleased to inform you that, as of the date hereof, we are highly confident that the sale and placement of the Securities and the structuring and syndication of the Credit Facilities can be accomplished by Goldman Sachs and GS Credit Partners, respectively, as part of the financing for the Acquisition as described above. We are pleased to confirm that we have received approval from our respective credit committees to deliver this letter to you. Obtaining financing for the Acquisition is inherently subject to uncertainties and contingencies beyond our control; accordingly, this letter is not a commitment to place or purchase the Securities or to place, purchase or provide any loans under the Credit Facilities, and there can be no assurance that the sale and placement of the Securities and/or the structuring and syndication of the Credit Facilities will in fact be accomplished. The provision of any such commitment would be subject to satisfactory completion of due diligence, satisfactory structure and documentation for the Acquisition and the financing and any such commitment, if issued by us, would be subject to satisfaction of conditions that are customary for these types of financings of acquisitions of public companies with you or your affiliates. In connection with this letter, we have relied without independent verification upon the accuracy and completeness of all of the financial, accounting, tax and other information reviewed by us for purposes of this letter. In addition, please note that Goldman Sachs and GS Credit Partners do not provide, and nothing herein shall be construed to be, accounting, tax or legal advice. It's disturbing for all of us.